A student from New Jersey became a key cultural resource for Alaska Natives. For 40 years, Jim Fall has voraciously gathered a record of indigenous life in precise, exhaustive state reports. He learned to speak the original language of the Anchorage area in a way hardly anyone else can. Eklutna elder Lee Stephan called Fall a "father of our language" when I spoke to him several years ago. He said he couldn't understand his own Dena'ina tongue when Fall spoke it to him. "All the stuff I should have learned, I could have learned, I wanted to learn, and nobody teach me," Stephan said. But even as that knowledge skipped a generation, Fall helped keep it intact. Fall had spent years listening to earlier Dena'ina elders. His most important informant was Shem Pete. Pete had been a young man when he encountered a tent city sprouting on a Dena'ina fish camp at Dgheyay Kaq' in 1915. The new people renamed the spot Ship Creek and called their camp Anchorage. Pete told Fall hundreds of original names for places we have renamed in the process of building the city and erasing his world. Fall listened. And he's still here. Now the names are coming back. Fall has helped Dena'ina leaders create signs around Anchorage to let people know who was here first, how they lived, and what places were called. Native power is back. Native cultural learning is back. All Alaska school children learn about Native lifeways and many Native students are immersed in them. Native culture dominates the Alaska story in the newly built state museum in Juneau and the remodeled Anchorage Museum. But the sources for this Native cultural renaissance often are unacknowledged. If not for anthropologists and ethnographers, especially the sensitive and objective kind like Jim Fall, much Native culture would have been lost forever. Fall works as research manager for the Subsistence Division at the Alaska Department of Fish and Game. He doesn't hunt and rarely fishes. For recreation he rides his bike. He can talk with an astounding depth of knowledge about the many cultures he studies, but answers questions about himself with a word or two. Yet his life is remarkable. Fall grew up in working class North Bergen, New Jersey, next to the Hudson River. Both his parents quit school after the eighth grade to support their families. His father spent his working life in a tobacco pipe factory and his mother in a florist shop. But uneducated as they were, they valued education above all. Jim made it to the Ivy League, studying anthropology at the University of Pennsylvania. Exhibits at the great museums of New York had inspired his interest in the field. He came north under the influence of a professor at the University of Wisconsin, Madison while working on his doctorate. She introduced Fall to linguist Jim Kari, who was already working with Shem Pete, but didn't have time to gather everything he had to say. In 1978, Fall drove out to Nancy Lake to introduce himself to Pete and his son, Billy Pete, both old men at the time. "They liked to tell stories," Fall said. "They got tired of me after a while, a little bit, but they needed somebody to help them out. I would do things for them." The Petes had lived on the lake for 35 years. But the rate of change was fast in those days. They had never thought to file a homestead application. Why should they apply for land they were the first to settle and consider their own? But someone else officially owned the land and kicked them out. Fall tried to negotiate the problem and, when he failed, helped move Pete's cabin. "In the Dena'ina tradition, elders, especially knowledgeable older elders, would be visited by younger men," he said. "There's even a term for it. It's called ukilaqa. It means, 'his helper,' and that's what I was. I was a young helper to Shem Pete and Billy Pete. So I would do chores for them, and in return they told me stories and would answer my questions. In a lot of ways it was quite a traditional relationship." 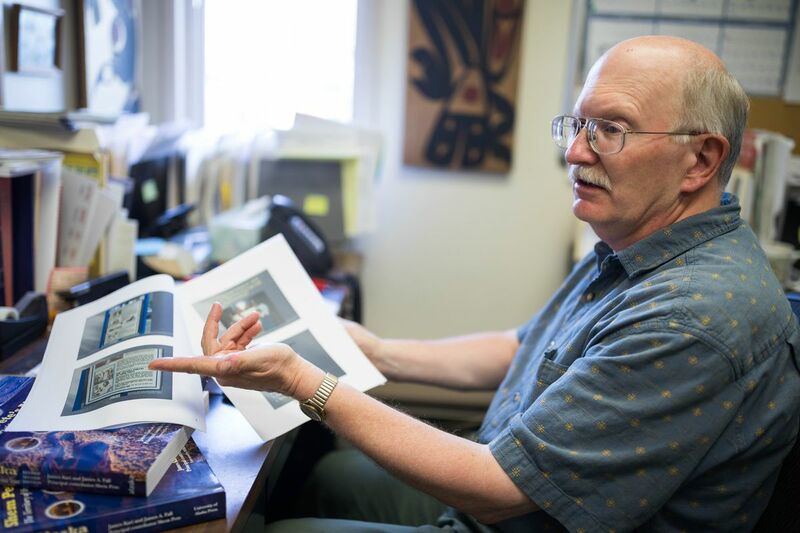 The work with Jim Kari led to the book "Shem Pete's Alaska," which is an essential record of what happened here before Anchorage became a city and is a touchstone for the Dena'ina people. It was just the beginning for Fall. He traveled everywhere in Native Alaska — although less so in the Arctic — gathering information on subsistence and cultural practices for his huge reports. They are too thick to read. The detail is astounding. But they are treasures for communities recovering their past and defending their lifestyles, with research documenting traditional use of fish and game to be protected in regulation. Aaron Leggett used Fall and Kari's writings to learn about his own culture. Today Leggett is president and chair of the Eklutna Tribal Council and works as curator of Alaska History and Culture at the Anchorage Museum. Without their work, Leggett said, "Definitely, we would have been dealing with one-twentieth of the information that was captured." 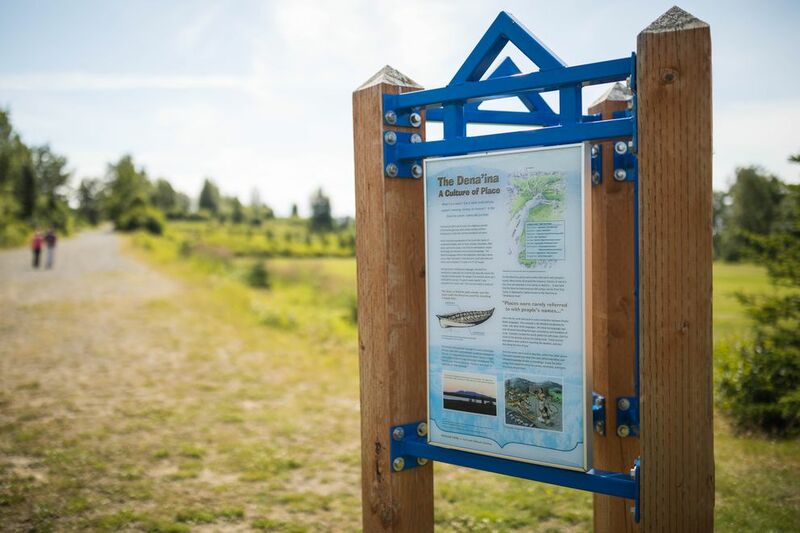 Fall also helped Leggett make the Dena'ina once again visible in Anchorage, with interpretive signs and a ground-breaking exhibit at the museum. Leggett successfully lobbied to name Anchorage's convention center for the Dena'ina. I wondered to Leggett if Fall and others like him get enough credit — those whose writings inform today's Native renaissance. Or does Native pride demand another act of forgetting, leaving out those who helped as they reclaim their heritage? "There's probably some truth to that, but there is also a long, complicated history with Native people and anthropology," Leggett said. Not all anthropologists were as respectful as Fall. Besides, having worked so long and deeply with him, Leggett thinks Fall doesn't mind obscurity. I agree. Fall cares most about his work. He measures it by how the voices of his Native informants come through, not his own. "He knows what he's done, I know what he's done, our people know what he's done," Leggett said.